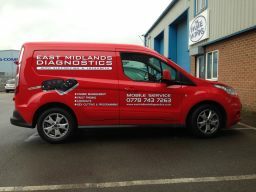 About EMD EMD is a fully qualified company providing auto locksmith services to the Nottinghamshire and Derbyshire areas. We are an independent, local company operating within the East Midlands area. EMD specialise in providing a whole host of Auto Locksmith services including lockouts, spare/lost key replacements, immobiliser faults and many more! Our aim is to provide a service that is fast and reliable whilst maintaining a friendly, honest and approachable attitude with no hidden costs or extras. By using a mix of dealer level and the latest aftermarket tools we are able to program keys to a multitude of vehicles at a fraction of the dealer's price. Our access tools also allow us to gain access to vehicles via non-destructive methods in most circumstances.